Why people should go for better water? Consumers are looking for more benefits from their drinks but sometimes this is contrary to what is really healthy. According to Global Food, Diet, and well being study GfkNOP: The Challenge of staying healthy is 75% of people say they feel very or quite knowledgeable about what is healthy and what is not healthy to eat but only 47% say they find it very easy or quite easy to eat healthily. To stay healthy is to keep our vital organs running properly and under the least amount of stress. For this, the best drink is water. Water is the purest and most natural beverage in the world. 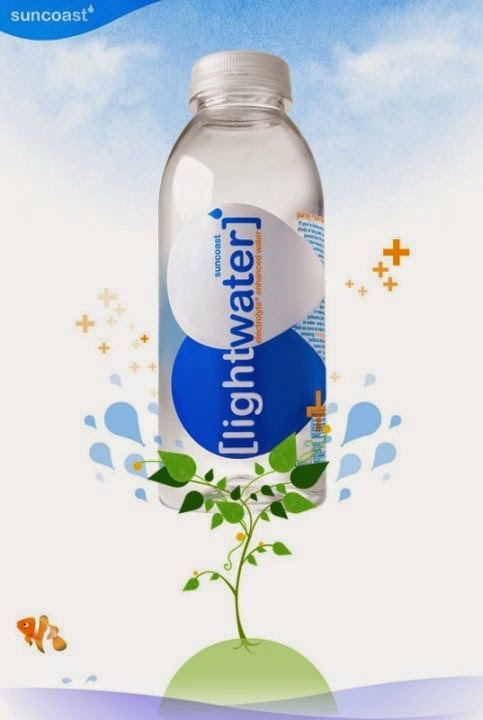 Lightwater's goal is to create a beverage which is both pure and also functional to meet everyone's need. So they added more function to water to make it better. They added vital electrolytes which will hydrate and keep body systems running smoothly. Electrolytes found in Lightwater: Calcium, Magnesium and Potassium - there is no Sodium! Electrolytes are essential to your daily body functions. Without the proper amount of electrolytes in your body, the brain's communication link with the rest of our body is choppy and might cause our various systems not to function properly, When you want to hydrate, it's best to do it with pure water plus electrolytes to help keep your body in tip top shape. Lightwater at pH 8,2. What does pH mean? The acronym pH is short for "pondus Hydrogenium". The term pH is used to measure acidity. Strong acids like, hydrochloric acid or sulfuric acid have a very low pH while weaker acids like acetic acid (vinegar), have pH readings that are higher. A neutral pH is 7. When the pH substance is below 7, it is acidic. Higher pH values are alkaline rather than acidic. The highest pH value is usually shown as 14 and the lowest pH value is shown as 0. The common term for pH is alkalinity. Lightwater is stable at pH 8.2. Lightwater, electrolyte enhanced water, is a dynamic beverage engineered for the modern urban athelete. Its formula of pure water + electrolytes is inspired by nature to improve your game! You can check their website link here: Lightwater website.